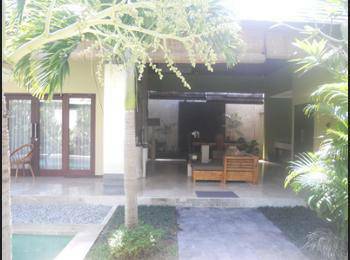 Saat Anda menginap di Nike Villas di kota Denpasar, Anda akan berada dekat pantai, hanya 10 menit dengan berkendara dari Pantai Sanur dan Lapangan Puputan Badung. Vila ini berada 7 mi (11,2 km) dari Tanjung Benoa dan 9,8 mi (15,7 km) dari Pantai Double Six. Ketahui Sebelum Anda Pergi Hewan peliharaan, termasuk hewan pemandu, tidak diizinkan di properti ini. Biaya Biaya dan deposit berikut mungkin ditagihkan oleh properti saat memberikan layanan, check-in, atau check-out. Biaya antar jemput bandara: IDR 175000 per kendaraan (satu arah) Biaya kasur lipat: IDR 600000 per hari Daftar di atas mungkin tidak lengkap. Biaya dan deposit mungkin belum mencakup pajak dan dapat berubah tanpa pemberitahuan sebelumnya. Harap hubungi properti sebelumnya jika Anda berencana akan tiba setelah jam 23:00. Layanan antar-jemput bandara tersedia 24 jam.Biaya lainnya mungkin berlaku. Hubungi properti sebelumnya untuk mendapatkan rincian. Sesuai peraturan setempat, semua pengunjung harus tetap berada di properti hotel sepanjang Hari Raya Nyepi/Tahun Baru Hindu pada tanggal 24 Maret 2020 (mulai tengah malam tanggal 23 Maret 2020 hingga pagi hari tanggal 25 Maret 2020). 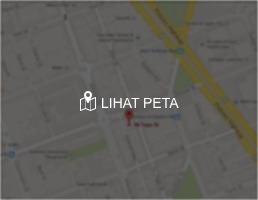 Check-in dan check-out tidak dapat dilakukan pada tanggal 24 Maret 2020. Untuk lebih jelasnya, silakan hubungi properti menggunakan informasi di konfirmasi reservasi yang diterima setelah pemesanan. Sesuai peraturan setempat, semua pengunjung harus tetap berada di properti hotel sepanjang Hari Raya Nyepi/Tahun Baru Hindu pada tanggal 14 Maret 2021 (mulai tengah malam tanggal 13 Maret 2021 hingga pagi hari tanggal 15 Maret 2021). Check-in dan check-out tidak dapat dilakukan pada tanggal 14 Maret 2021. Untuk lebih jelasnya, silakan hubungi properti menggunakan informasi di konfirmasi reservasi yang diterima setelah pemesanan. 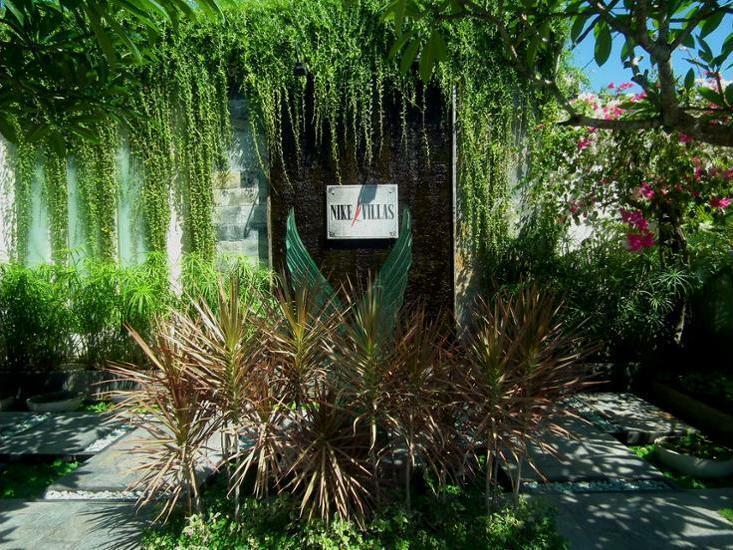 We spent the last week or so of March 2019 staying at Nike Villas in their 1 bedroom Villa Lepas and can’t recommend Nike enough. 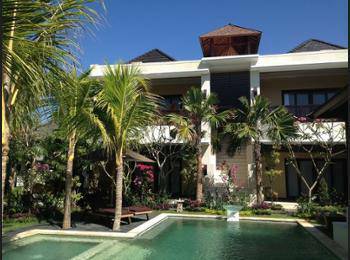 Villa Lepas is very spacious, clean and well maintained. The couple of minor maintenance issues we did raise were fixed promptly. The private pool is just that, very private, and is positioned to capture enough sun to keep in warm, while there are almost always shaded areas as well. 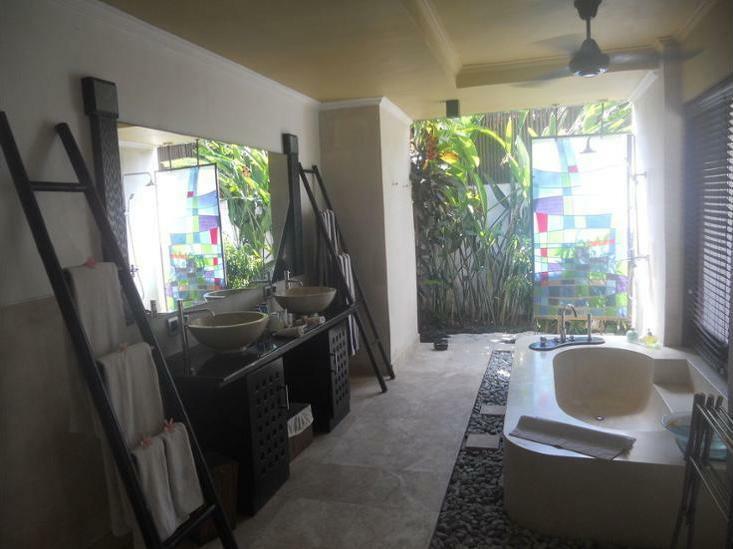 The bathroom is huge and is accessible from the pool surrounds as well as the bedroom. We had a minor issue with the toilet flushing but that was fixed quickly. The king bed was comfy and the entire villa was serviced twice daily, including a nightly turn-down that included mosquito coils etc. We found the included breakfast served in the villa to be good, although, like much of Asia, it is rare to see a piece of toast that is anything more than warm bread. Wifi was excellent throughout our villa. 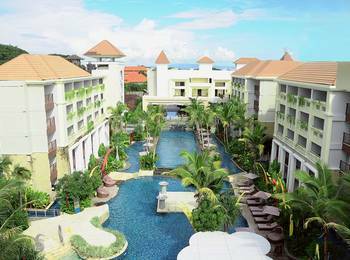 We used the complimentary shuttle service a number of times, usually to go to south Sanur, as Nike is ideally situated to access most of Sanur north of the Hyatt by foot. The return airport transfers were also reliable. What made Nike even more special was the staff and the comments you’ll read regarding the friendly and unassuming service are spot on, nothing is too much trouble. 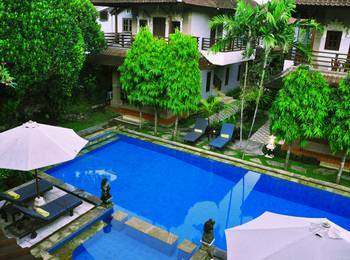 It is hard to imagine that we would consider staying anywhere else other than Nike Villas for our next visit to Sanur. Great service, a well equipped room, a reasonable price, and did I say great service? We were welcomed by the friendly staff, and in just a couple days, they felt like close friends. We had a suite, which was basically a large one bedroom apartment (villas are twice as big for a higher price). It was very comfortable, and we appreciated the unlimited supply of drinking water. The beach is about a 15 minute walk, so not real close, but the tradeoff for the large room space and great service was worth it. Contrary to some other reviews, our wifi was excellent, fast, and connected easily. The only small problem we encountered was bad smell in the (giant) bathroom. I've found Indonesian plumbing to be frequently below standard. We also had a problem with Booking.com: we reserved the room for 2 adults and a kid and the site said the suite had a convertible sofa and breakfast was included. We were then told by Nike that breakfast was only for two, and the sofa was not convertible, so we had to pay $22 per night extra for an extra bed and breakfast for our kid. But even with this unexpected extra charge, the large suite was reasonable. And then there was the great service. . . .
We stayed at Nike Villas for 9 nights. From the time we were picked up from the airport to the time that we left we were totally spoiled by the excellent service by all of the staff. 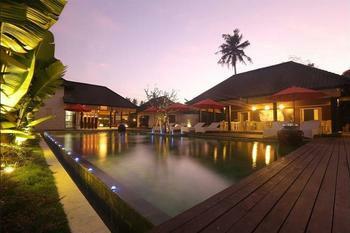 The property is well located just behind the main street close to some excellent restaurants but it is very quiet. The room was comfortable, spacious, well equipped & clean. Breakfast was excellent & well presented, the afternoon tea was also very nice. The pool was area was always clean as was all of the outdoor areas. 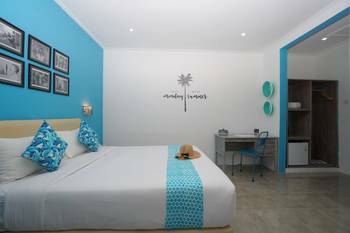 All in all a great place to stay with polite attentive staff ensuring that you enjoy your holiday. A mixed experience. High end price should give a high end service. PROS Handy location in central Sanur. Free and reliable hotel pick-up from and to airport. Beautiful room with separate living area and kitchenette. Nice gardens and pool. Breakfast to order, served in the room if desired, and a good standard. Staff very helpful and friendly, but some skills lacking that guests might need (see below). CONS Wifi virtually non-existent. At this price one would expect better than an extremely patchy connection. Constant drop outs. Room modem was replaced after complaint, which made no difference to the performance. In fact for the last few days there was no connection at all, even in their own office. I suggest they might need a new ISP. Shower mixer very unreliable – swinging constantly from freezing cold to scorching hot, with no steady in between. Office staff very personable, but English communication skills a little lacking. Unable to make a cinema booking online for example, or even to be able to find where a movie is playing. These issues must be addressed if they want to compete with others in the area.